The peaceful celestite carries an angelic and heavenly quality of energy. This essence is obviously expressed in its name—celestite—from the Latin caelestis meaning heavenly or pertaining to the sky. The energy of celestite is also expressed in its soothing sky blue color, the color of the clearest, fresh sky on a beautiful and soft sunny day. Although pale gentle blue is the most popular (and common) color that celestite is known for, it can also come in light brown, clear, and even red and green colors. Like all blue color stones, celestite is the stone of communication. In case of celestite, though, this communication comes as a very soothing, loving and nurturing energy. If lapis lazuli, for example, with its intense blue color helps one pierce into the mysteries of the universe and bring them into our world in a clear and decisive manner, celestite does this transmission in a very gentle way. It is more of a stone of soothing one's heart by opening to the eternal divine guidance rather than satisfy the thirst of the mind to know the mysteries of one's existence. What is Special About Celestite? The most popular association of celestite is with its ability to help one communicate with angels, to receive reassurance and emotional support in difficult times. Celestite was long used to ask for continuous guidance and protection. This is the most noticeable power of celestite used throughout centuries. Another popular use of celestite is to help promote clear and healing dreams, as well as keep nightmares at bay. With consistent use, celestite offers a deep trust in a loving higher power that grants meaning and purpose to one's life. With such a heavenly companion as celestite, one is sure to slowly, but surely strengthen the energy of self-confidence, self-esteem, and an overall love of life and optimism. The energy of celestite is like a healing balm that is gently uplifting and nourishing. Celestite is an excellent stone to have close in times of stress, anxiety or overall disappointment in one's life experiences. It teaches one how to access strength with softness, flexibility, and openness rather than harsh and often rigid, straightforward determination. It also teaches to trust into divine timing and wait for the right moment, so as to achieve one's goals with most joy, ease, and energetic effortlessness. Most of all, celestite expresses the energy of continuous celestial love, support, and soothing nourishment, an energy that is there for you at all times. The only thing you need to do is ask for it and make time to connect on a consistent basis. Where Does Celestite Come From? Most of the celestite on the market comes from Madagascar, Brazil, Mexico, England, and Poland. What Are the Specific Feng Shui Properties of Celestite? In feng shui, celestite is used in a variety of ways to help promote a very healing and soothing quality of energy in your home. This quality of energy has both the essence of the water element and the heavenly/air element related energies. 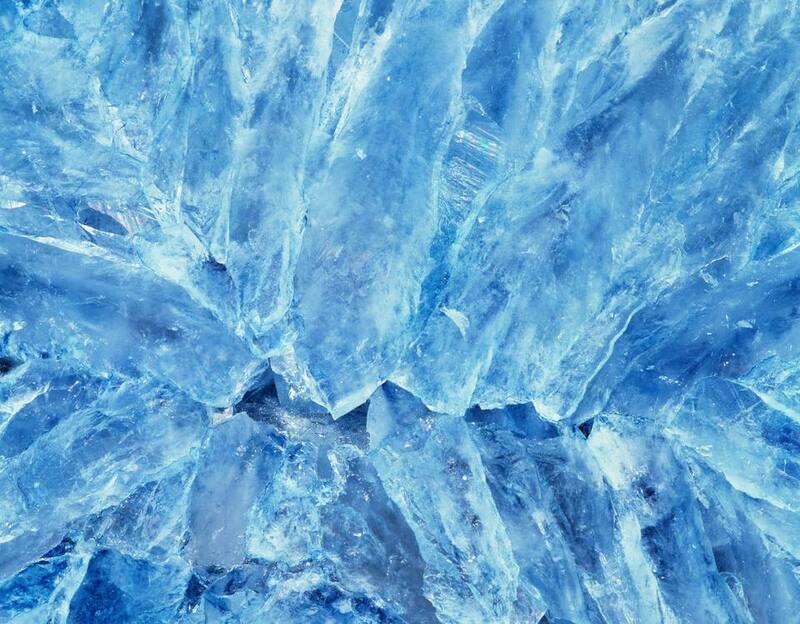 In its energy, celestite can be compared to aquamarine, another popular feng shui crystal, even though the two of them heal in very different ways. If aquamarine brings the strong, but gentle presence of the water feng shui element, the celestite brings heavenly energy, an energy that was once water and has transformed into a different expression. Where Do I Place Celestite for Good Feng Shui? Feng shui-wise, celestite is the best addition to one's bedroom, either an adult or a child's bedroom. The best feng shui placement of a celestite is on the nightstand, close to where you sleep. Celestite is also wonderful on your home altar, or as an energetic harmonizer for your living room. If you experience tumultuous times in your family relationships, a celestite placed in the room of your home where you spend most of the time can bring peaceful, calming energy. Do not have a celestite right by the main entry, where the incoming energy can still feel raw and harsh. Being a gentle, as well as a very high vibration stone, celestite likes a more intimate and elevated placement in your home. Also be mindful to keep your celestite away from direct sunlight, as this can cause it to lose color. Celestite is very fragile and soft, so no matter where you place it—in your bedroom, on your altar or in a special place in your living room—handle it with care. It rates 3.5 on the Mohs scale of hardness so it can easily break. What Form of Celestite Should I Use? The most powerful form of celestite is as a geode. You can also find celestites in clusters. Both forms are excellent for feng shui purposes because any crystal or stone is most potent in its raw form. Another creative way to bring the energy of celestite into your home is with celestite beads. You can position them nicely on your altar, or by your nightstand table (if it looks and feels appropriate), this can bring a soft and gracious quality of energy complimenting the essence of celestite. How Are Rudraksha Beads Used in Feng Shui?